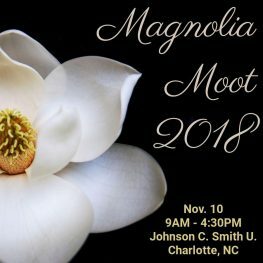 Join Johnson C. Smith University, Signum University, and the Mythgard Institute on November 10, 2018, for the inaugural Magnolia Moot. An over view of the schedule is provided below. See the full schedule here. Tolkien’s work has an interest in finding one’s place, both figuratively and metaphorically, in the wider world. It is not enough to have a place, one must understand it and one’s relationship to it to come to a clear understanding of what it means to belong in and to a place. This concept is not exclusive to Tolkien, but is also present in many works of science fiction and fantasy literature, films, and television. MagnoliaMoot will take up this theme, as well as other topics relating to the works of fantastic literature, television, and film. Please submit all abstracts by November 2, 2018 to matthew.deforrest@signumu.org. Acceptance will be notified by November 4, 2018. Registration fee includes light breakfast and boxed lunch. Registration is now closed. Johnson C. Smith University (JCSU) is a private liberal arts university with proud HBCU traditions and a future aimed at diversity. Approximately 1,600 highly talented and motivated students from various backgrounds are enrolled at JCSU and its faculty and staff members are equally as unique, coming from all over the world. JCSU has a limited number of suite-style rooms available in its Mosaic Village facility for those attending MagnoliaMoot. The closest hotel to the campus is the DoubleTree Hotel (part of the Hilton Hotel Group). Charlotte is a major business and banking center with a number of hotels and restaurants relatively close to JCSU’s campus.